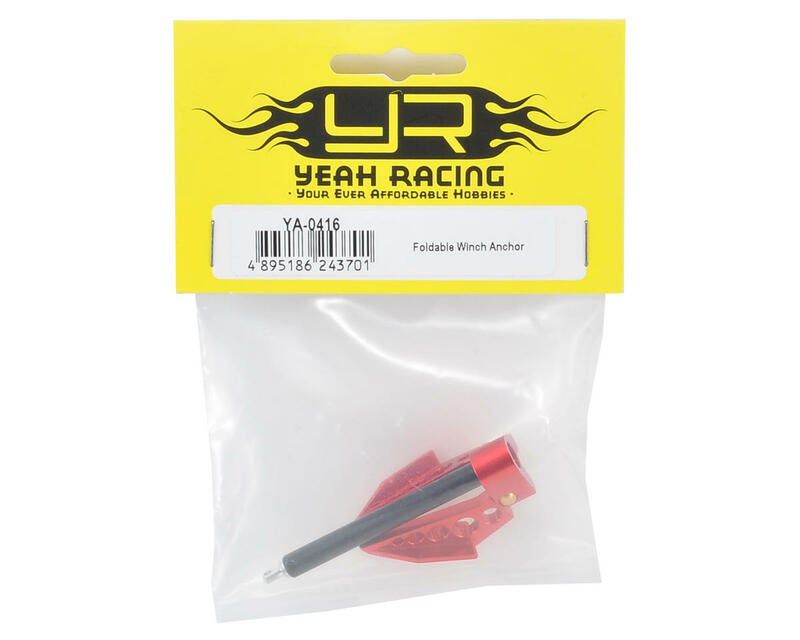 This is the Yeah Racing Aluminum 1/10 Foldable Winch Anchor. 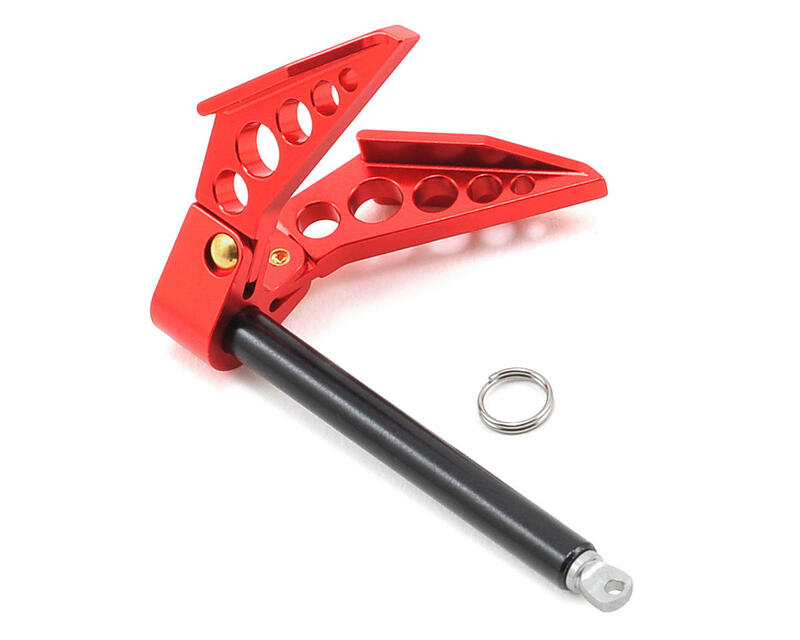 This anchor is CNC'ed from high quality and durability Aluminum alloy material and anodized a brilliant red. 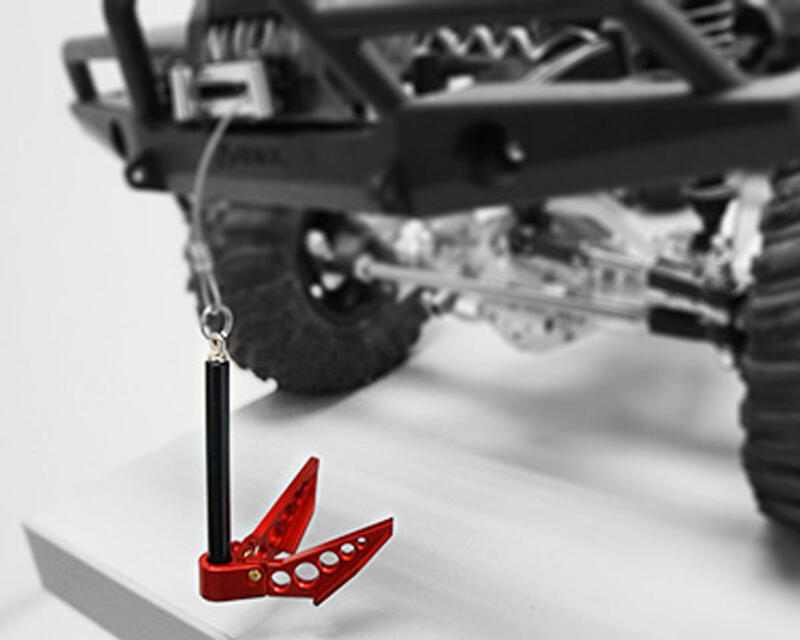 An anchor of this quality is a must-have for serious crawlers as it provides a firm grip into sand, clay and snow when there are no other winch points to secure to, such as debris, trees, bushes or other obstacles. And although the anchor is made heavy-duty, it remains lightweight and compact thanks to its foldable design.